This 2.5-hour city sightseeing tour is a perfect introduction to Geneva. It’s especially great if you’ve just arrived in the city and want to get a lay of the land. 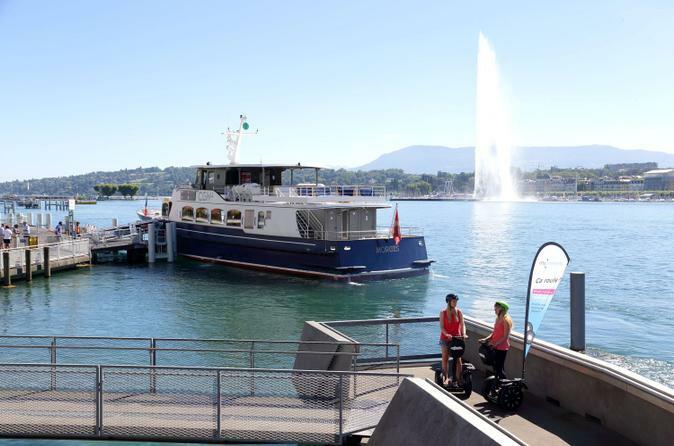 This city tour, which includes a ride on a mini-train, will highlight Geneva’s famous international organizations and show you the city’s top attractions. Your friendly guide will also entertain you with stories about Geneva’s interesting history. Explore the beautiful Swiss cities of Lavaux and Montreux on this relaxing and scenic day trip from Geneva. 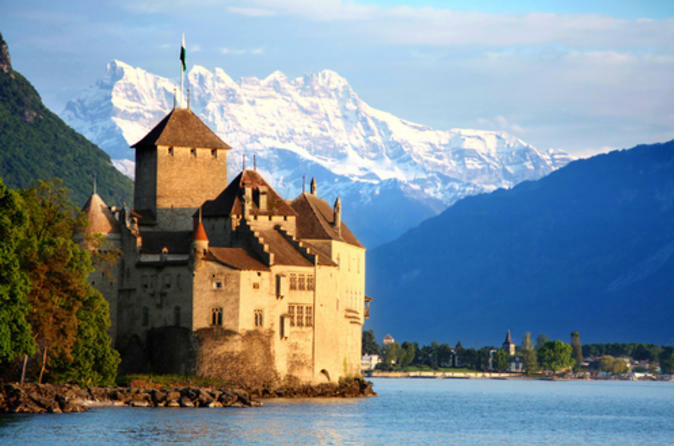 Drive through the beautiful Swiss countryside, take an open-trolley tour in Lavaux, and enjoy a guided tour of Chaplin's World and the famous Château de Chillon, a stunning castle that sits on Lake Geneva. Then spend the afternoon on an old steamer boat for a first-class cruise, along with free time to explore in Montreux. 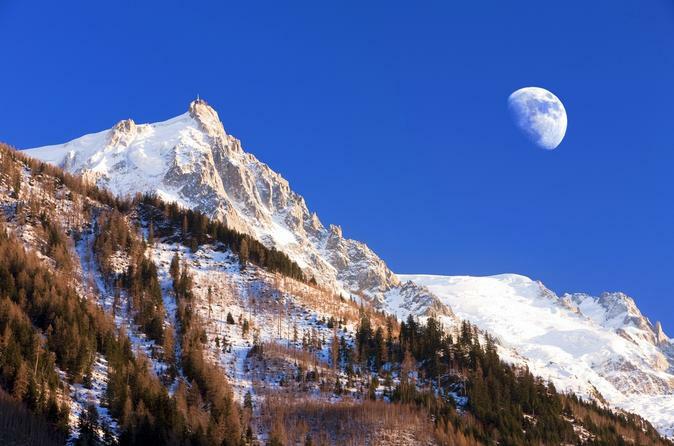 Soak up the beauty of the Alps on this day trip from Geneva to Chamonix, situated at the base of Mont Blanc. With round-trip transport on an open-top bus with a retractable glass roof, enjoy unobstructed views and informative commentary as you travel. Beat the crowds with early arrival to this famous Alpine town, and then explore by foot. 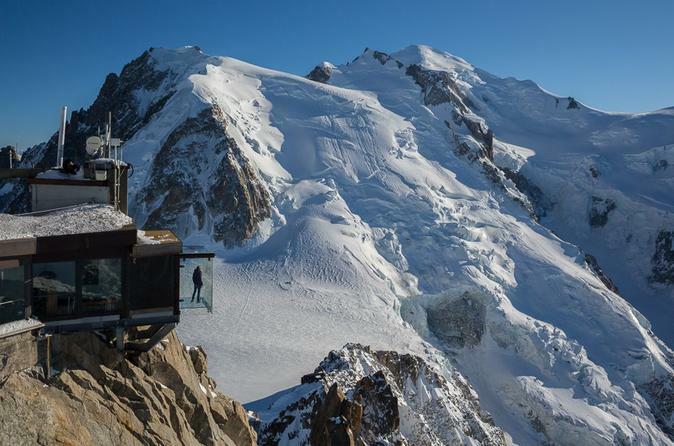 Upgrade to enjoy lunch at a Michelin-star restaurant, or for a ride on Europe’s highest cable car and to take the railway to Mer de Glace glacier to explore the ice caves. Combine your love of chocolate with your passion for travel on this day trip to Gruyères from Geneva. Travel by comfortable coach to the picturesque village of Gruyères and take in Switzerland's beautiful landscapes including Lake Geneva (Lac Léman) and the Alps. 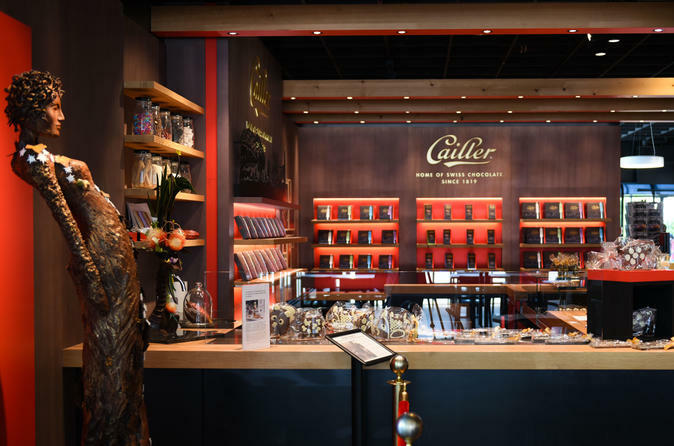 Visit a chocolate factory, Maison Cailler and learn about the production processes of this Swiss specialty. 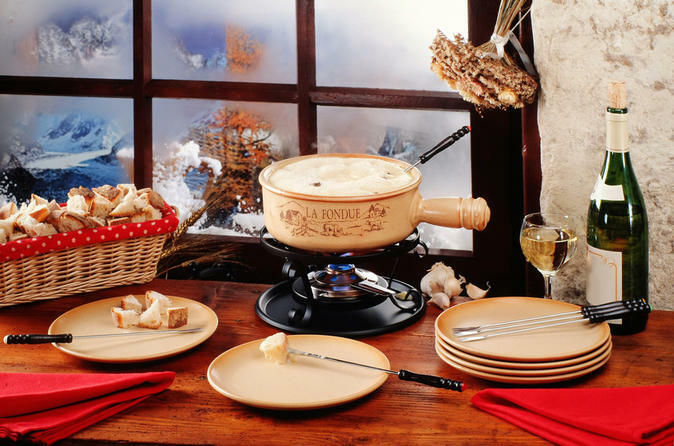 Learn all about Swiss culinary traditions from your expert guide and enjoy chocolate tasting! 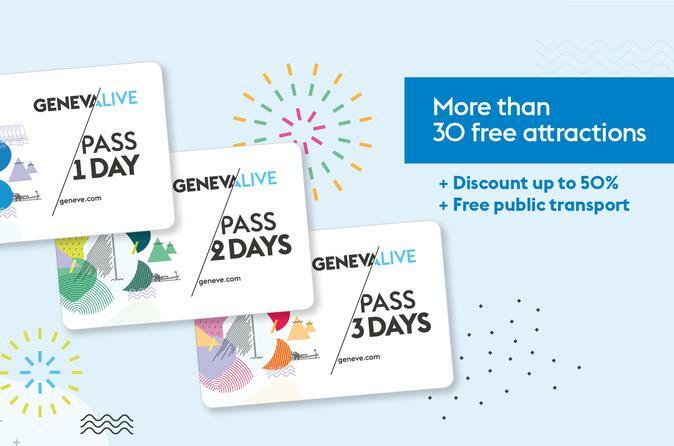 Holders of the Geneva Pass can make use of all the diversity of the Genevan touristic offers whilst enjoying preferential fares, free entries and free public transports. 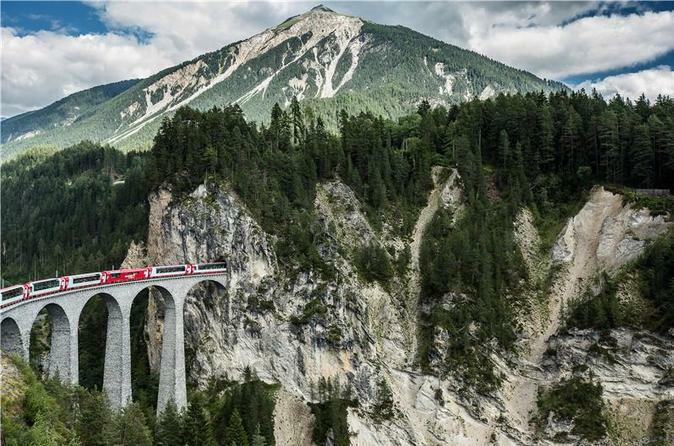 Weave your way through Switzerland, Italy and Liechtenstein on this epically beautiful 4-day journey from Geneva to Zurich. Enjoy a balanced mix of guided sightseeing and free time as you hop from one Alpine town to another, including Lugano, St Moritz and Zermatt, home to the famous Matterhorn peak. Drive along the romantic shores of Italy’s Lake Como, sightsee in Liechtenstein’s capital city of Vaduz and admire the picturesque Swiss countryside before ending in Zurich. All transport and overnight accommodation in 4- or 5-star hotels is included. Spin through the Swiss city of Geneva by Segway and discover top attractions on this 1.5-hour tour. Follow your guide to the Brunswick Monument and cross the Pont de Bergues (Bergues Bridge) and take in beautiful city views from from Rousseau Island. Climb effortlessly into the Old Town and admire Cathédrale de St-Pierre (St Pierre Cathedral) before cruising down Promenade de la Treille towards Parc de Bastions. Gain insight into Geneva’s rich history at the Reformation Wall, and enjoy personal attention from your guide on this small-group tour, limited to 12 people. Ride our coach to Chamonix. 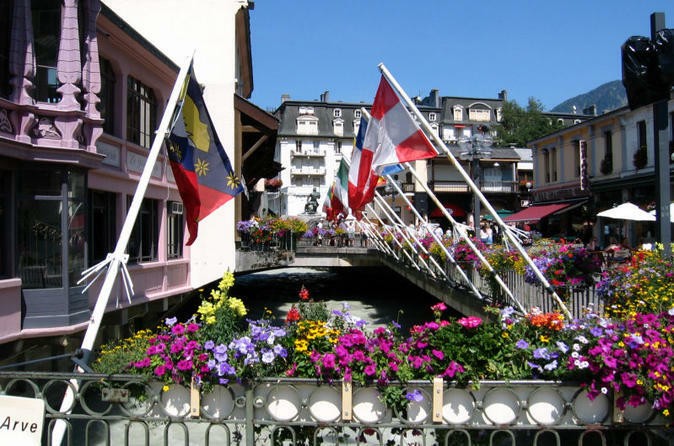 Enjoy the village, little streets full of charm and admire the Mont Blanc, the highest peak in Europe. Enjoy all the beautiful mountains that surrounds you! 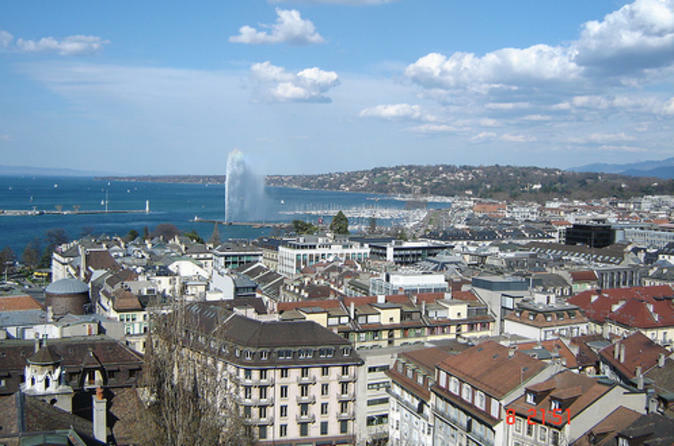 Then go back to Geneva and join a city tour that will bring you to visit the International part of Geneva through the centre of the world’s peacemaking organizations, followed by a tour of the main tourist attractions of the city such as the Jet d'eau (Fountain) and the wonderful Flower clock. 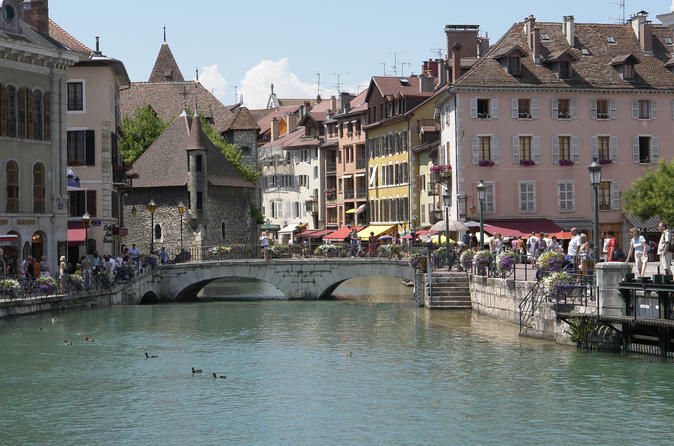 Then get a taste of Geneva History, Calvin's cité and cathedral Saint Peters. 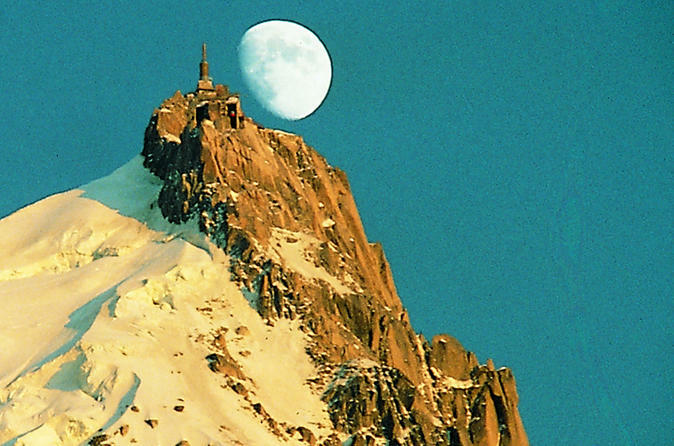 Chamonix, one of the most famous mountain villages at the foot of the remarkable and majestic Mont-Blanc, the highest peak of Europe (4807 m./15.771 ft). 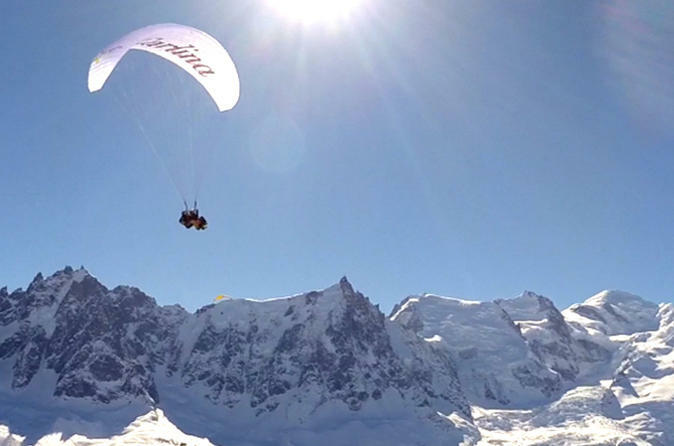 Thanks to your morning departure, you'll arrive in Chamonix before the busy crowds arrive. With your pre-ordered lift and train tickets, you will avoid the long queues thanks to our reserved gondola. Enjoy the fine french cuisine for your lunch. In the afternoon, ride the famous red cogwheel train to the Sea of Ice glacier. 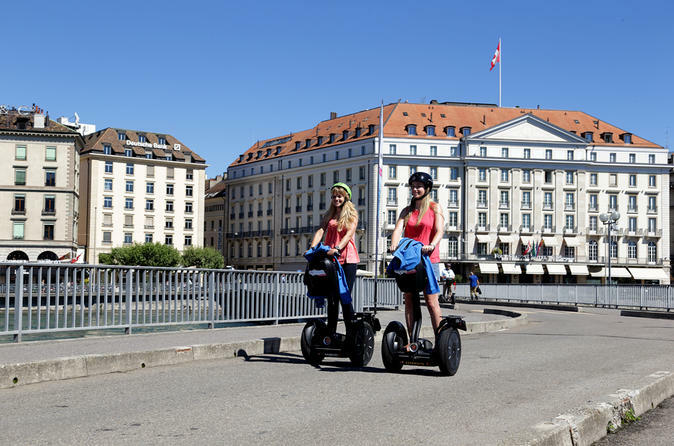 Explore the Swiss city of Geneva with ease on this small-group, half-day Segway tour. Follow your guide along the cobbled streets of the Old Town, where the locals relax in ancient town squares, and discover top city attractions like Cathédrale de St-Pierre (St Pierre Cathedral), the Reformation Wall and the Brunswick Monument. 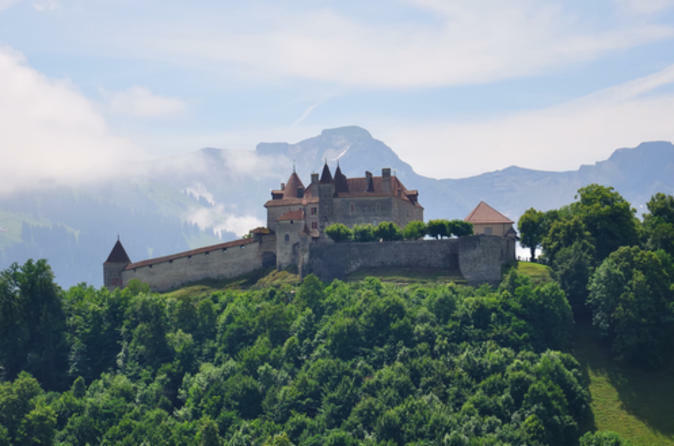 Then, cruise the banks of Lake Geneva and enjoy beautiful views across the water before pausing in the grounds of Château de Penthes (Penthes Castle). Enjoy personal attention from your guide on this small-group tour, limited to 12 people. Explore the lovely city of Montreux on this day trip from Geneva. Travel through the Swiss countryside on your way to Montreux, which has an idyllic location between Lake Geneva and the base of the Alps. 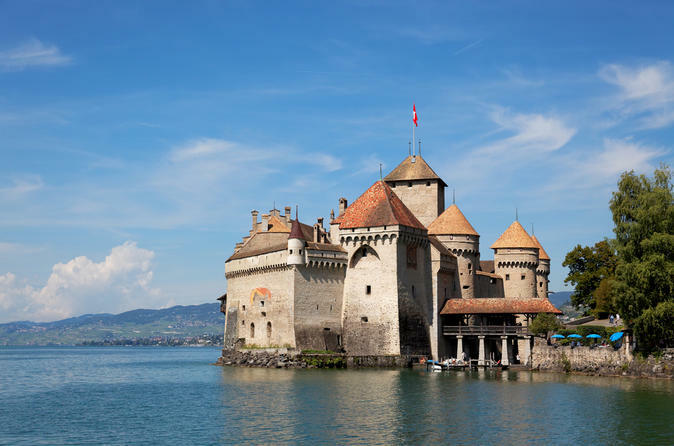 See Château de Chillon, a gorgeous medieval castle set on a small island in the lake, and enjoy an open trolley tour of the UNESCO-listed Lavaux. 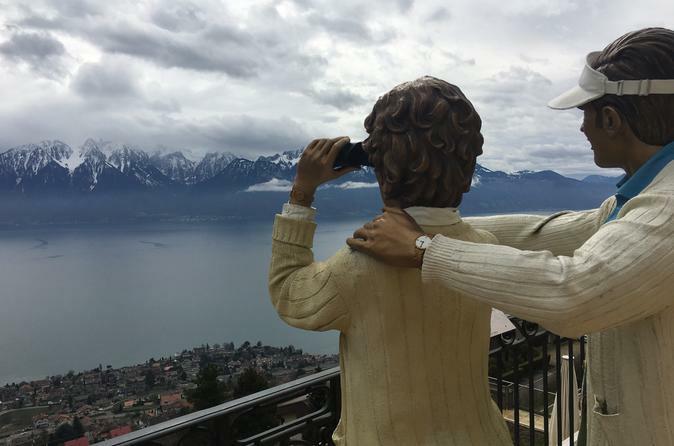 Take some free time to explore Montreux before returning to Geneva. Explore Geneva's lakeside quays and pristine public parks on this 2.5-hour Segway tour. Master the controls of your Segway in safety with your guide, and then spin off to explore Geneva. Discover top city attractions such as the Brunswick Monument, the Pâquis Jetty, the Palais Wilson and Barton Villa. 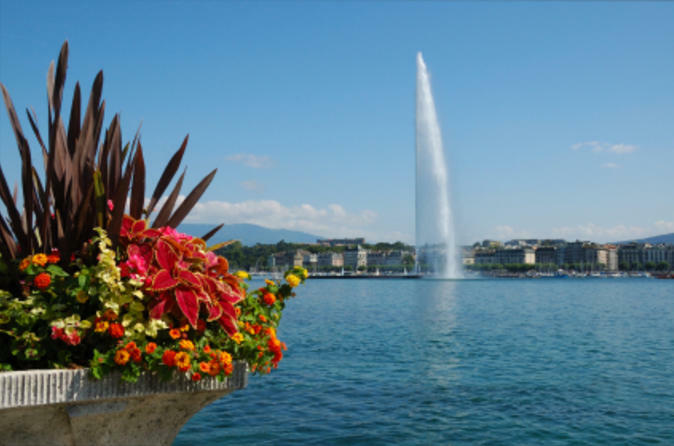 Admire, too, the headquarters of major international organizations like the United Nations and the Red Cross before cruising alongside Geneva’s attractive botanical gardens. Enjoy personal attention from your guide on this small-group tour, limited to 12 people. 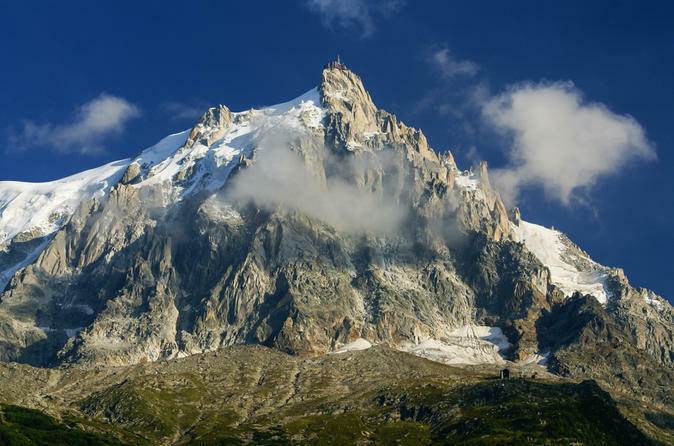 Take a breathtaking journey through the French Alps on this private day trip from Geneva to Mont Blanc, the highest mountain in Europe, and Chamonix, the most famous resort in France. 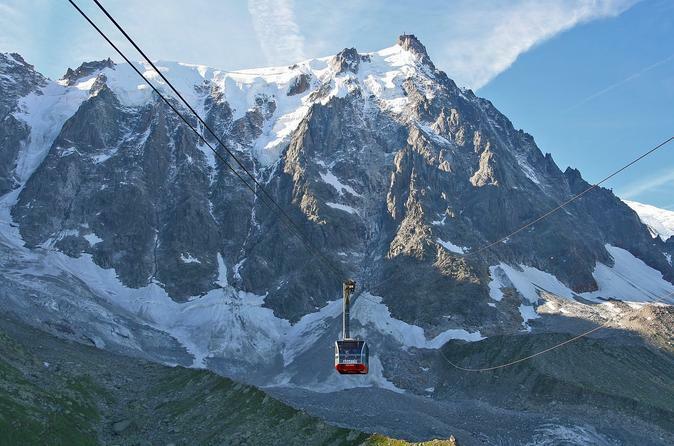 Travel across the Switzerland-France border and ride a cable car to the summit of Aiguille du Midi for an incredible Alpine panorama — the views will take your breath away. 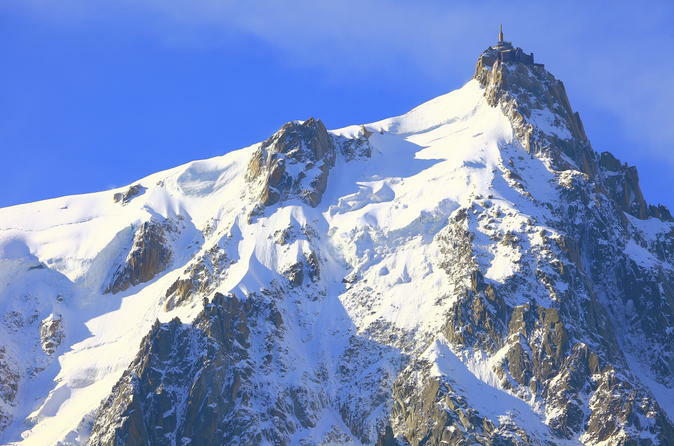 Savor a gourmet meal with wine at a Michelin-starred restaurant in Chamonix, at the base of towering Mont Blanc, and then take a scenic ride on the famous Montenvers Railway. This tourr is a unique Gourmet Food Tour experience in Old Geneva with historical fact about the town. A thrilling human adventure leaded by our inspiring guide who will make your day Magical. Discover the pleasure of eating local products made by our passionate partners. As we care about each moment to be fascinating, there will be lots of surprises along the way. Enjoy unlimited internet everywhere in Geneva (and all Switzerland) with 4G-LTE Pocket WiFi. 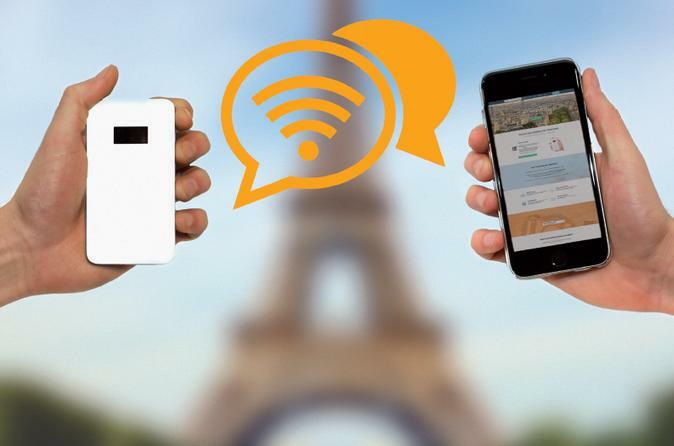 Stay connected anytime and avoid data roaming charges for your next travel in Geneva and the rest of Switzerland. Discover the tastiest treasure of Switzerland and indulge in the world's finest chocolate and cheese on this full-day excursion from Geneva to Gruyeres, home of the prominent Gruyeres cheese. Travel through the gorgeous Swiss countryside to the charming village of Gruyeres and visit both the chocolate and cheese factory. Unveil the secrets of some of the finest products in Switzerland by taking a tour to La Maison Cailler and La Maison du Gruyere. Transportation from any location in Geneva City to this amazing new world of Swiss delicacy is included. 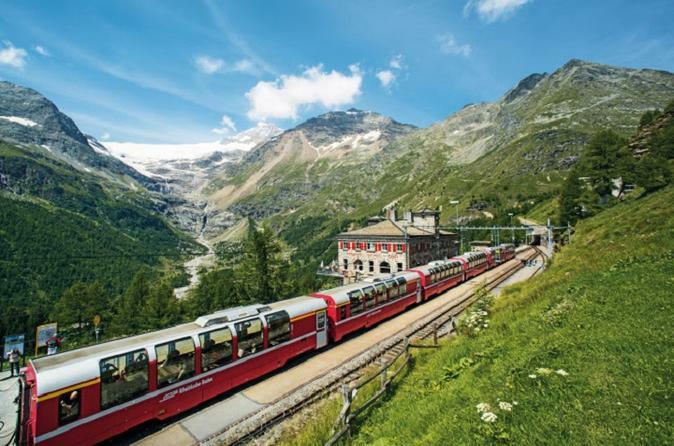 Discover the wonder of Switzerland while on this 3-day self-guided tour on the Bernina Express. 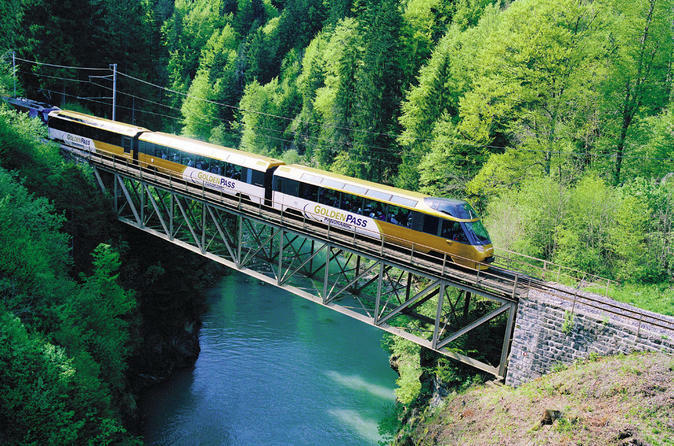 Travel though 55 tunnels and 196 bridges as you admire the Swiss landscape. 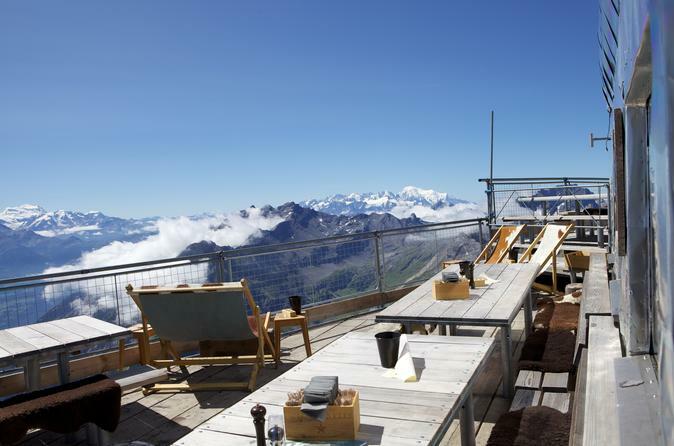 Independently explore Switzerland from Geneva to St. Moritz on to Lugano and back to Geneva. Enjoy daily breakfast and a complimentary coupon book, usable for your daily activities. Taste. Indulge. 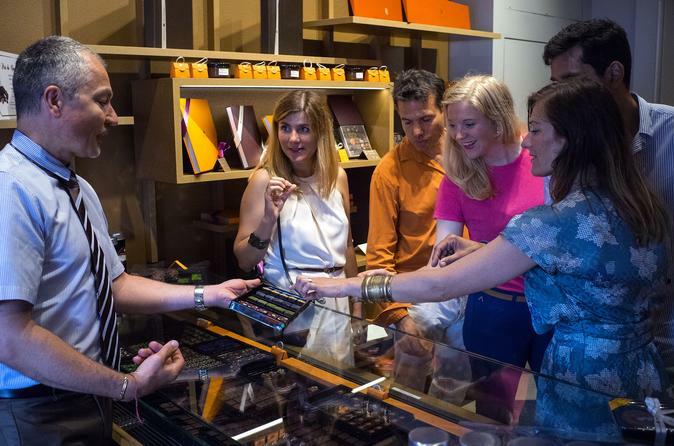 Explore-Experience Geneva’s award winning chocolate and culture in a deliciously sweet 3 h walking tour. 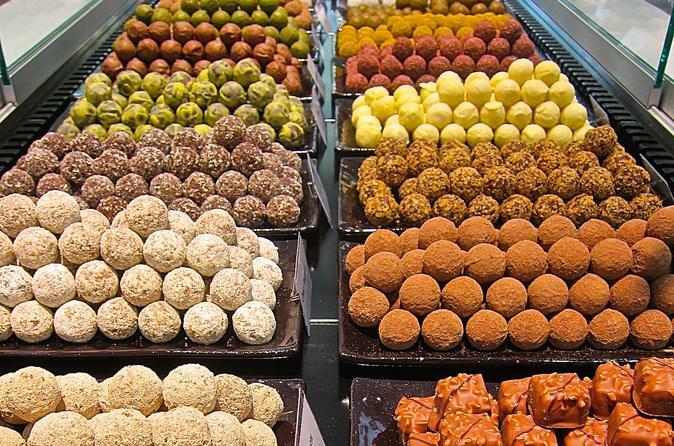 We will show you some of the city’s best artisanal chocolateries - from traditional to modern. You’ll experience chocolate in all shapes and forms: from chocolate pralines, to truffles, ganaches, drinking chocolate and pastry. During the tour you will learn the secrets of the origins and manufacturing of chocolate, as well as the history of Swiss chocolate. 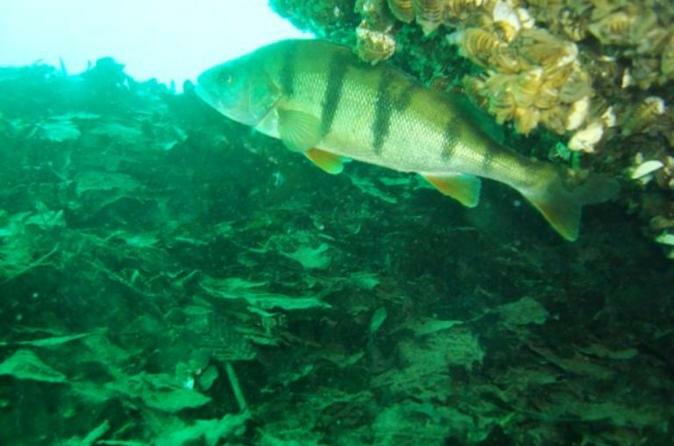 See some of Geneva’s iconic sites but also learn about hidden gems that not even locals know about. enjoys a great cachet and a penny to develop while preserving its heritage. In the afternoon, discover the Swiss riviera with the famous town of Montreux. 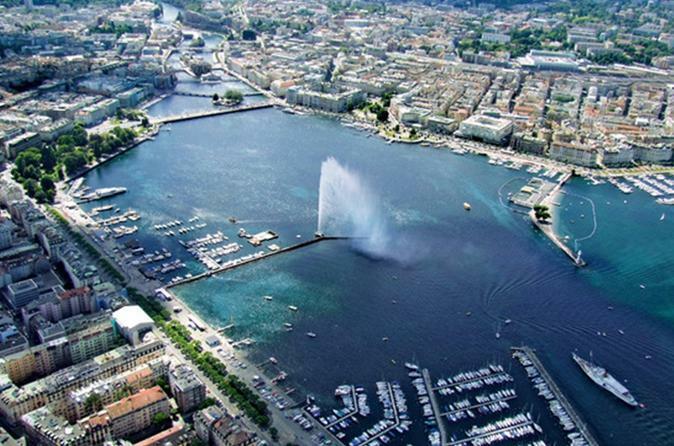 Enjoy views of the Lake Geneva and visit the sights of historic interest of Geneva. Enjoy the electric bike experience with a multilingual guide. 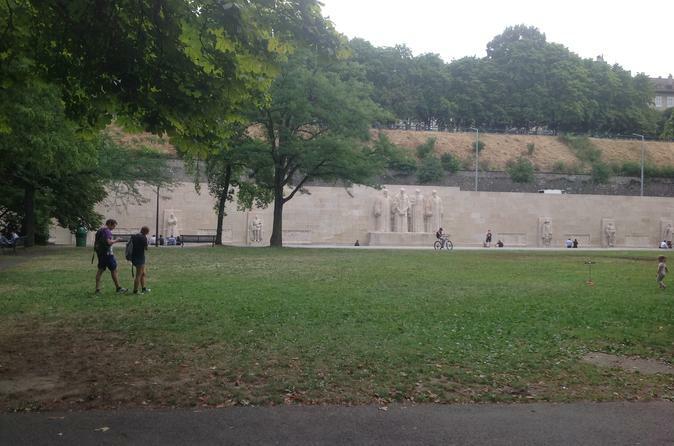 You'll visit the main monuments on cycling paths most of the time. The United Nations buiilding is the beginning of the tour following to Red Cross Museum, Geneva Lake views and the old town of Geneva. Whether you decide to concentrate on exploring the city of Geneva and its fascinating surroundings or to discover Switzerland's diversity along the Grand Tour of Switzerland across all 11 famous Swiss destinations: With the Swiss Coupon Pass you can plan your stay as you go and according to your preferences. Benefit from exclusive "2 FOR 1" offers on various restaurants, city tours, entrance fees to attractions and a lot more. 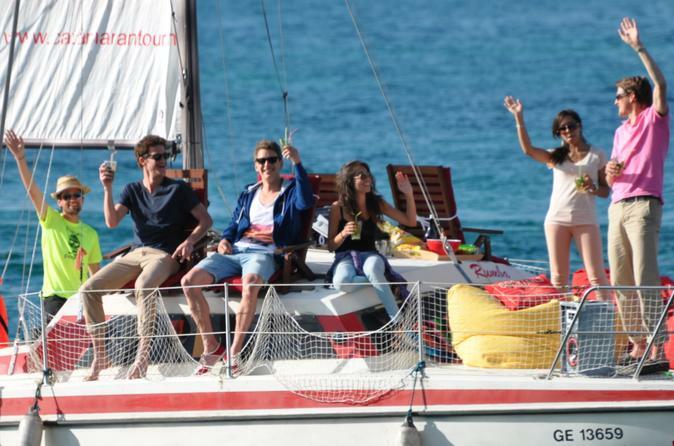 Climb aboard the Catamaran Terrasse and enjoy a sailing Champagne cruise on the Lake of Geneva. Make yourself comfortable on the Terrasse, turn your music on, and enjoy your 1 bottle / hour of Taittinger Prestige Cuvee or Moët & Chandon. 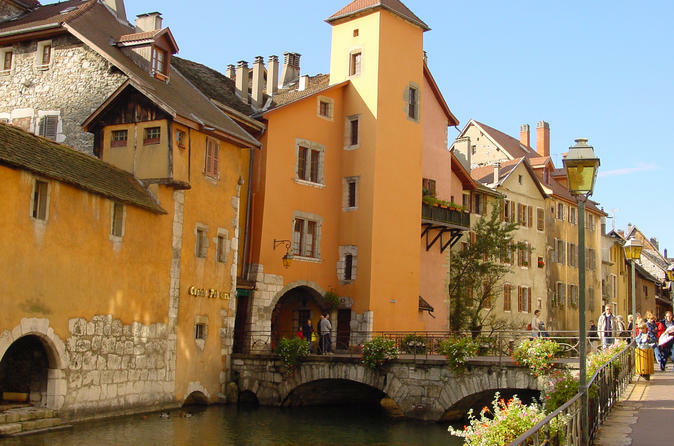 This tour includes imperial sight seeing of the Mt-Blanc and the Fountain of Geneva. Enjoy the magic landscape of Leman lake with this tour. Geneva, Nyon, Lausanne, Vevey, Montreux, enjoy the landscapes as well as comments of your professional local driver guide for the day. 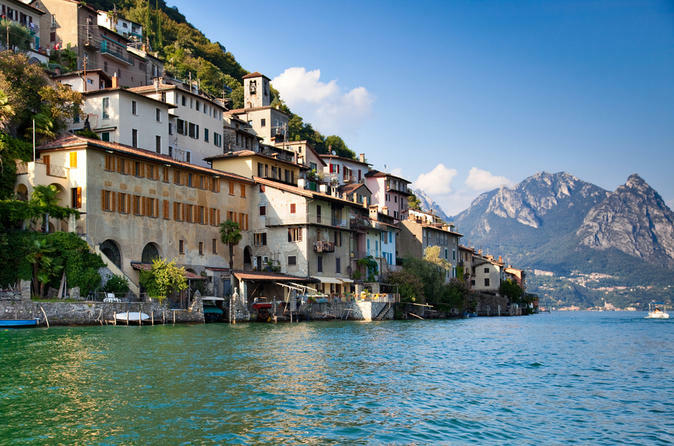 Discover all the secrets of the Swiss Riviera that will be revealed to you. 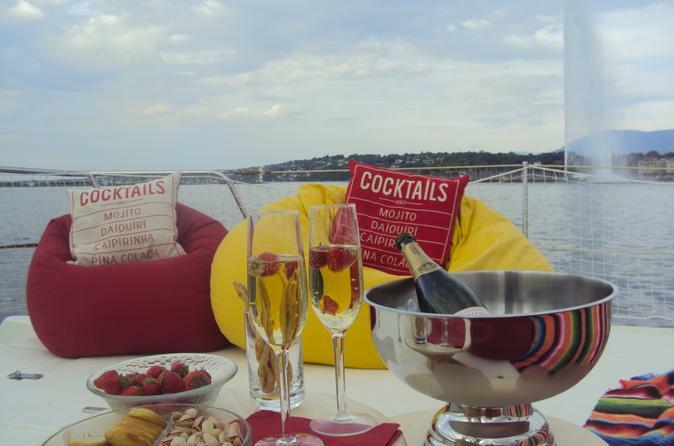 Enjoy a Cocktail (Mojito) Cruise on the Catamaran Terrasse Geneva. Have a seat on our floating terrace, enjoy the beautiful landscape of Geneva's skyline with the the Jet d'Eau, the Mt-Blanc and the surrounding mountains drinking your refreshing Mojito and listening your favorite music. We'll sail on the Bay of Geneva where you could sightseeing, learning about the City and for the most courageous, have a swim on the Lake. At least, we'll return safely to the harbour feeling refreshed and relaxed, the mind full of beautiful pictures and memories! Our mission is to delight your senses in a unique journey and leave an unforgettable memory for life of Gruyère. 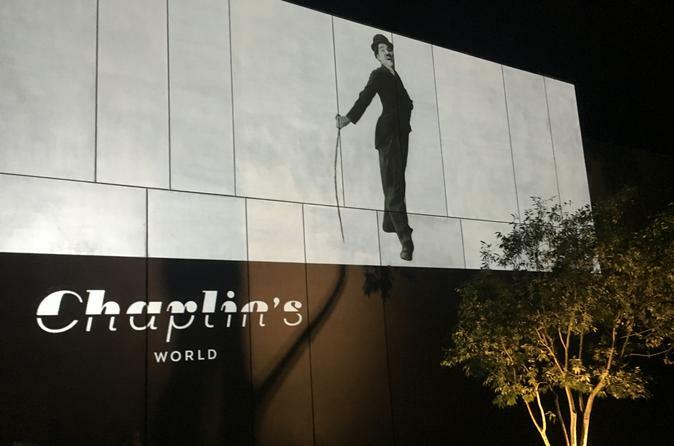 Discover a site dedicated to Charlie Chaplin, the artist and Citizen of the world man. Get ready for an unforgettable experience.